Our SEO company is based in Cannes (France), we propose concrete and effective SEO strategies. We strive to satisfy each client by providing quality work through personalized support. Would you like to know what our clients think? Discover our reviews certified by Trust Pilot. Since 2010, our french SEO agency allows international companies to reinforce their positioning on the french market. We design and deploy a tailor-made and sustainable Google search engine optimization strategy. Increase your turnover: more targeted visitors on your e-commerce, your institutional website, your showcase site or your company blog, it is also more customers, prospects or professional contacts. Support your marketing campaigns: you use other levers than the web to communicate? Your website is a great marketing tool to enhance their impact if it is on Google’s first page. Strengthen your local reputation: when an Internet user carries out a geolocalized search in France, 80% of these people contact or visit the professional found in this way within 24 hours following the search. Work on your e-reputation: increased visibility on the internet has a positive influence on your e-reputation. Getting ahead of the competition: why leave the field clear for your competitors? Don’t wait to be placed in front of them on Google. 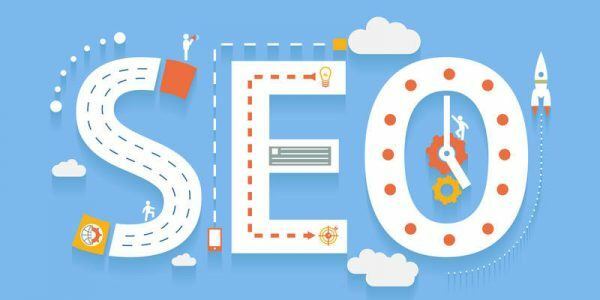 Our Google search engine optimization agency offers professionals the opportunity to increase their visibility on the Internet, regardless of the size of their business. Do as many customers who trust us, choose our french SEO company which positions itself at your side as a trusted partner and whose sole objective is your success. If you are not yet visible on Google.fr, benefit from the expertise of our SEO agency specializing in SEO on Google, our know-how is recognized in France and internationally. Free SEO audit: an essential step to determine the axes to obtain the expected result. This SEO analysis of your site is free at SmartWeb Group. Off-site optimization: this time, it’s about working on your off-site optimization, such as your e-reputation, social networks or the acquisition of external links, we talk about netlinking, link baiting or link building. Tailor-made strategy: the digital strategy to implement takes into account the size of your company, the type of site you have (blog, showcase site, e-shop) and your objectives. Local SEO: you have a shop or a local service activity? How to position yourself in Google on Cannes, Paris or Monaco? We concentrate the SEO strategy for a stronger impact in your catchment area. Copywriting: the quality of the texts on your site has a 25% influence on the final mark given by Google to your site. Choice of qualified keywords, our french digital agency pays special attention to your editorial content thanks to a web editor (e-commerces product sheets, landings pages, presentation pages etc). Since 2010, 97% of our customers have renewed their trust following an initial collaboration.